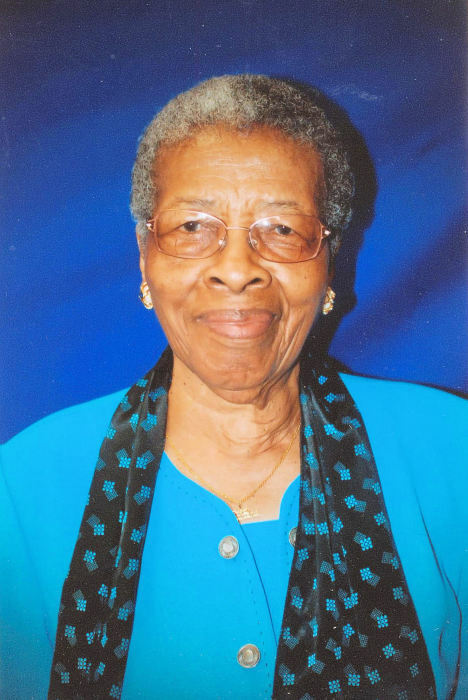 Obituary for Jessie Bell Young | King-Tears Mortuary, Inc.
Jessie Bell Young, 89, affectionately known as Bell, transitioned from labor to reward on March 26, 2019. She was born in Milam County, TX on April 7, 1929 to the late Weldon Winn and Jessie Lillian Washington. She was preceded in death by her daughter Brenda Gail Young and two brothers, Van Lee and WT Bacey. She rededicated her life to Christ uniting with St. Edward’s Missionary Baptist Church under the leadership of Rev. J.C. Adams where she served faithfully for over 15 years. She later moved her membership to East Nineteenth Street Missionary Baptist Church under the leadership of Rev. M.C. Walker until her health failed. She completed her education with Granger School District in 1947. She furthered her education at Huston-Tillotson College to obtain her managerial certificate in food service. This led to her working for several high-end hotels in downtown Austin, St. Edward’s University as well as the Texas School for the Deaf. She proudly finished her 41year career as a manager of food service at The Texas School for the Blind and Visually Impaired. She leaves to cherish her precious memories, Son, Thomas J. Young Jr. (Ethel); Granddaughters, Renee Young (James), Tonya Young, and Jessica Young; Great Grandsons, Dedric Neal (Juliet) and Rodrick McLennan Jr.; two Great Great grandchildren, Julian and Gabrielle Neal; Virginia Guyton whom she raised and loved as her own daughter along with a host of nieces, nephews, cousins and children in Christ.